In today’s environment, out-of-network health care providers are making the mistake of waiving co-payment or co-insurance obligations due to a multitude of issues. These providers are fearful they will lose patients to cheaper in-network providers, costing them thousands of dollars of lost revenue. They sense patients are looking to facilities and practices where they can get needed healthcare services while minimizing their own personal responsibility for their own cost share amounts, and more and more providers are letting them in. Not so fast, says the State of New York. On November 9, Executive Deputies from the Department of Financial Services (DFS) and New York State Department of Health issued a joint statement, reminding all physicians of the rules related to billing for patient co-payment or co-insurance. 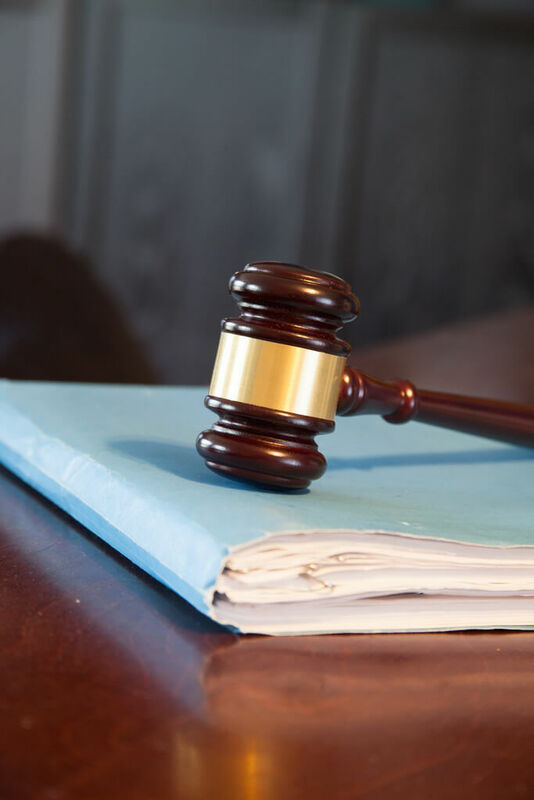 Both departments recognize the decision to waive the occasional co-payment or co-insurance, determined on a case-by-case basis; perhaps physicians are treating an indigent patient, or maybe the act of prosecuting a patient is not worth the time and money required to pursue. However, the departments made it very clear that all participants in New York’s health insurance market must play by the same set of rules. In their statement, they remind physicians that routinely waiving co-payment or co-insurance may be considered insurance fraud. In addition, billing a patient’s insurer for a waived co-payment or co-insurance is also considered to be fraudulent practice. “Any physician who is determined to have engaged in fraudulent practice may be subject to professional misconduct penalties, including, but not limited to, revocation of his/her medical license,” the letter warns. And on top of putting one’s practice at risk, a physician’s patient who misrepresents such a claim is similarly at risk of committing insurance fraud. Their recommendation moving forward: review your current policies and practices related to patient co-payment or co-insurance and make sure they are in compliance with laws, regulations and rules. Need Advice From The Patriot Group? 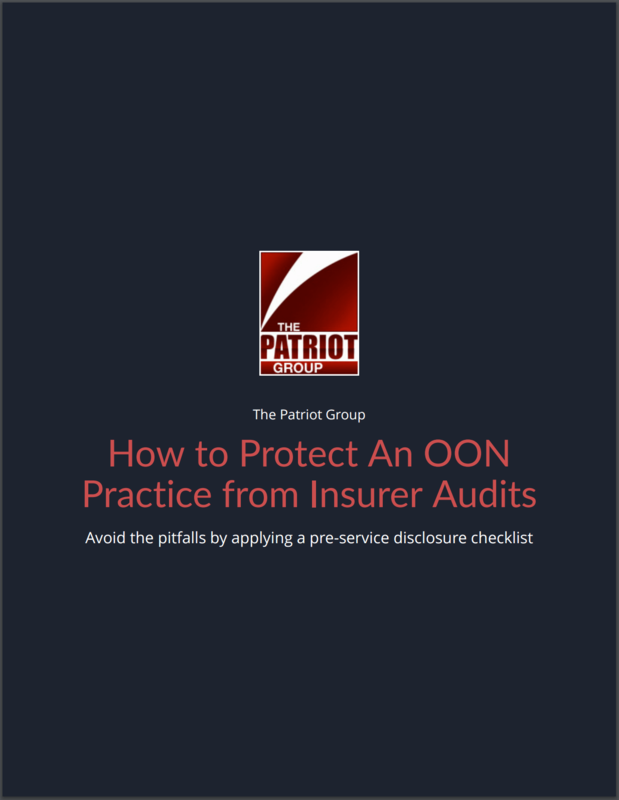 The Patriot Group offers both in-network and out-of-network physicians and healthcare facilities a comprehensive, cost-effective back-end solution to their client’s revenue recovery and compliance needs. The Patriot Group’s clients include hospitals, physician practices, general practitioners, urgent care centers and ambulatory surgery centers. They are founded and managed by a healthcare attorney and supported by an in-house law firm. 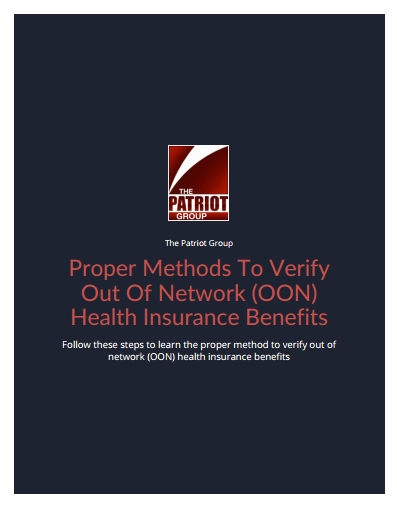 Learn how to determine a patient's out of-network Health Insurance benefits!